2004: Drawings inspired by the Koran, is basically exactly what it says. 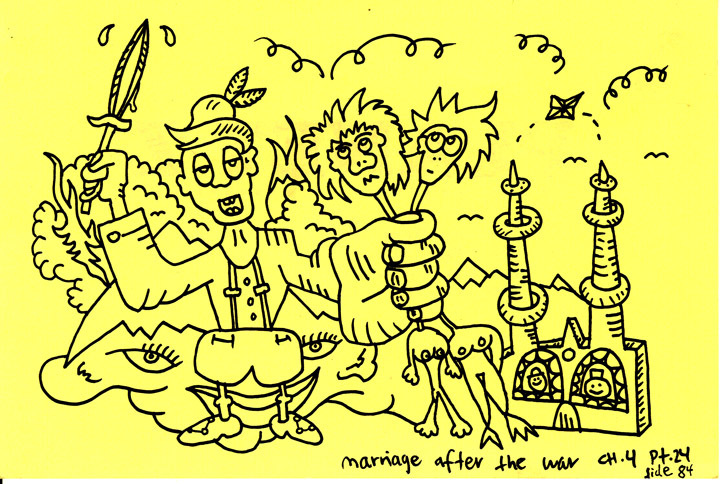 I read the Koran and drew the stuff I found in it. I have no affinnity for religion. This series could have been made from reading the old testament as well. Pen on paper, 12x18 cm.